Some daughters grow up with a nagging sense of something not quite right in their relationship with their mothers, though the daughters can’t place their finger on what’s off exactly. It’s a vague, pervasive feeling of being unloved and ignored. They feel like somehow, in some way, the loving relationship that other people seem to have with their parents is eluding them. As immediate as that thought maybe have been, your trained (by your mother) inner child immediately sprang to berate you for feeling that way. How dare you think such awful things about your mother! How could you demand anything, you worthless child? How could you ever say that your poor, dear loving mother is anything but loving? Everyone says she’s the best mom! Why would you ever think badly of her? Yet that little voice was there, for one shining moment, and it has led you to seek answers and find help. And now you have the obligation to yourself to find out exactly what happened to you, what lifelong effects you now bear because of your upbringing. How Do I Know Whether My Mother Is a Narcissist? If you suspect that your mother is a narcissist (i.e., that your entire upbringing and beyond revolved around her needs), you are not alone. The exceptional book “Will I Ever Be Good Enough? Healing the Daughters of Narcissistic Mothers” by Dr. Karyl McBride provides the guidance you need to determine whether your mother has narcissistic traits, understand the type of narcissist she may be, and, of utmost important to The Invisible Scar readers, how to break free from the narcissistic cycle and become emotionally healthier. What’s particularly engaging about the book is how the author, a licensed marriage and family therapist, weaves a sub-narrative of her own relationship with her narcissistic mother into the book. McBride doesn’t reveal so much that the book becomes an exercise in navel-gazing nor reveal so little that the reader is left feeling cold and alone. The book is written in the voice of a well-informed, caring, and understanding friend, who will support you in a better understanding of your upbringing and its effects on you. McBride’s guide is, at its heart, an optimistic one that focuses on the reader’s awakening and healing. It is not about picking at one’s emotional wounds and allowing hate or anger to fester. McBride then provides examples of each of those traits and a questionnaire that helps shed light on the existing relationship between mother and daughter. Also in the first section, McBride discusses the 10 “stingers” of the narcissistic-mother/daughter dynamic. Those stingers are “ten common relationship issues that occur between mothers and daughters when the mother is narcissistic,” states McBride. You find yourself constantly attempting to win your mother’s love, attention, and approval, but never feel able to please her. Your mother does not support your healthy expressions of self, especially when they conflict with her own needs or threaten her. In your family, it’s always about Mom. If you’ve arrived to The Invisible Scar to learn more about narcissistic parents, you know that you’ve been deeply affected by having such a parent. There’s the self-doubt, the “jumpiness” (from being trained, as a child, to hurry to your NPD parent’s every beck and call), the lingering sadness of the mother-sized hole in your heart, the lack of boundaries (or trust) within your other relationships due to your first relationship with your mother, illnesses… and so, so much more. You probably aren’t even aware of all the ways that your narcissistic mother affected you. Take time to read about what behaviors you might have learned and/or imitated. For example, McBride discusses the high-achieving daughter (who will try to “win” Mom’s love), the self-sabotaging daughter (who will make herself feel as crappy as her mother says she is), and the myriad behaviors that the daughters of NPD mothers adopt, subconsciously or not. Those behaviors can affect how the daughter mothers when she becomes a parent. At The Invisible Scar, I receive so many emails about adult survivors terrified that they will become their mothers. “I won’t have kids! I refuse to become my mother!” and “I’m becoming my mother! Help me!” are common themes in those emails. The good news is that daughters of narcissistic mothers aren’t fated to become their mothers. Daughters get to choose what sort of mother they will become. In the book, McBride discusses the turmoil and issues those daughters have once they become others. Some overcorrect the deficiencies in their mother’s parenting (e.g., they become ultra-lenient in opposition of their mother’s ultra-control); some end up being like their mothers because they lack the blueprint for new parenting skills or simply have not awoken to the truth of their upbringing. And some daughters do find a middle ground. We strive to do the right things for our children, and none of us wants to pass along our own undesirable legacy,” writes McBride. “Breaking the cycle is a challenge when you have no positive role model as a mother. Daughters of narcissistic mothers often feel as if we are blazing our own trail of love in raising our babies. In the last section of the book, McBride also provides a very detailed step-by-step guide to recovery from this mother-daughter relationship. For the daughter of a narcissistic mother, the idea of life being peaceful sounds like a having a unicorn for a pet—yes, it’d be lovely, but such a thing isn’t possible. But, oh, dear daughter of a narcissistic mother, yes, peace is possible. The road to recovery is clearly outlined in McBride’s clear, unhurried but succinct writing. She details the various stages of grief (including grief for the relationship that you never had with your narcissistic mother and grief for the child you didn’t get to be). McBride stresses repeatedly the necessity of adult daughters to stand on their own. McBride wraps up the book with guidance, a list of questions, case-study segments, and encouragement to help the daughters of narcissistic mother heal and, most importantly, lead a far more emotionally healthy and authentic life. The author avoids the trap of only discussing an active relationship between mother and daughter. McBride acknowledges (in Chapter 13) that some mothers are too toxic for any form of relationship. That recovery work, the healing journey, and the peacefulness of living in the truth are the focus of the work here at The Invisible Scar. Because of McBride’s clear understanding of the reality of daughters of narcissistic mothers and her dedication to improving the emotional well-being of those daughters, I highly recommend this book to all women who suspect their mothers are narcissists and who want to break the cycle and become emotionally healthier and happier human beings. actually i am son of a narcissistic father. And yes I am a perfectionist. This book was an incredibly important beginning step of my therapeutic work (when I started a few years ago). Dr. McBride’s books are life-changing! I also recommend Dr. Linda Martinez-Lewi’s blog, which discusses both male and female narcissists on the more severe end of the spectrum. Going permanent “No Contact” with my narcissistic mother and enabling father in late summer of 2015 after over a year of temporary “No Contact” was the best thing I’ve ever done for myself (and for my teen children). I still have a long way to go for healing, but now that “my past” isn’t actually “my Present” helps in ways I can never describe! 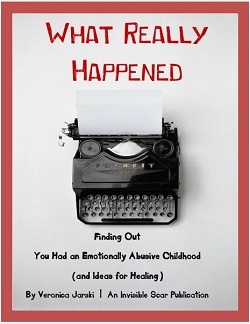 I can say, it was impossible to heal while the “Past” (childhood abuse) was entangled in the “Present” (with the same abuse, though I’m a middle-aged adult, married 18+ years, and mother to two teen children!). I do have the book, and I read a little bit at a time, because otherwise I get overwhelmed. From what I have read so far, it is definitely a great book. I went “no contact” before it had a name. I got a hurricane of torment back but ultimately she bitterly said “You are your own man now,” and she stopped contacting me until she died. You are so right. Living actually begins when the Past is no longer deeply entangled with the Present. I used to think that healing from abuse meant keeping the Past where it belongs – in distant memory, but in my case, my Past is always visible to me. Never forgotten, not even blurred. It’s right where I can see it. To remind me of what I almost lost. To remind me to be grateful. To remind me that pain always has a purpose in God’s Will. That my tears must now be used to lead other victims to the same Light that liberated me. This book and ‘Healing the Scars of Emotional Abuse,’ by Gregory Jantz are vital tools if you have lived through this sort of nightmare or know someone who has. I always thought there was something wrong with me, only to realize last summer it was my mother! But the rest of the world still thinks I’m crazy, especially my family of origin. While the grief and pain I’ve had to deal with since have not been pleasant, I know each day I am growing a little stronger and becoming more the person I was meant to be. I always wondered why I was such a worthless, troublesome burden to others so ridden with guilt and shame when, from an outsider’s perspective, I was a success in almost every aspect of the word, but inside I knew no one could ever love me and hated myself for it because I just couldn’t be good enough and if your own mother can’t love you, you must be a horrible person indeed. What a horrible lie! It will be painful, you have to deal with every sort of grief and pain and sorrow and frustration and anger and the world will think you mad, but if you want to truly live, to actually be a real person, you must first pass through ‘the valley of the shadow of death,’ but it can be done, you will survive, and life will be all the sweeter for it. It isn’t easy, it isn’t pretty, it isn’t quick, but the two books mentioned above are invaluable companions on that journey. Don’t continue to live ‘the lie,’ simply to keep the peace, the price is too dear. Interesting post, but while my mother abuses like the narcissist, she has really poor self esteem herself in many ways. She is a very hateful person in her comments, not just quick to criticize, but when I was young she loved telling me that I was so stupid I didn’t deserve to live. As a result I tried to commit suicide as a teen, so did one of my brothers. She treated all of us badly and loved denying things after they happened so she never had to apologize for one thing in her life, to anyone. I know she’s obviously very ill, even though she held a good job and was a completely different person to those on the outside. She burned our food, never cleaned the house, but she always looked like a million bucks. So maybe she is narcissistic in some ways. Po’ Girl Shines, your mother is definitely a narcissist! Just because someone is a narcissist has low self-esteem does not mean they are not narcissistic. In fact, as the case often is, the narcissist is unwilling or unable to admit their own failings and inadequacies– that’s just a part of the complexity of being a true narcissist. May you have the fortitude to hear, see, and accept the truth.